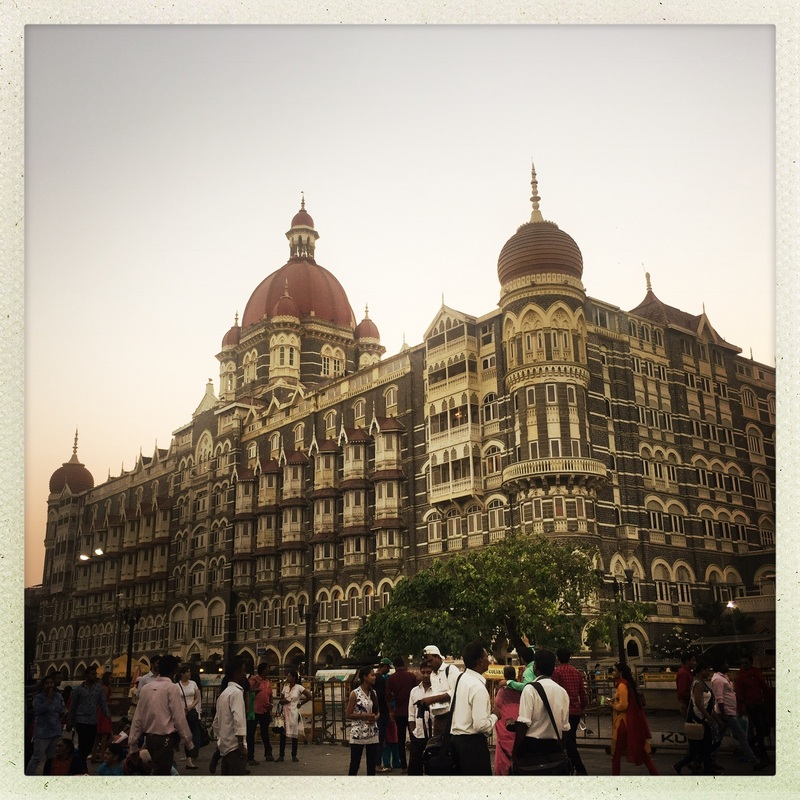 MUMBAI, INDIA: One day I will get back to New York and sift through my all belongings. If nothing is ruined, especially personal papers and such momentos, somewhere in a box buried deep there should be a postcard from India. It will be from the mid 90s from David Ladik, who I was dating at the time. I distinctly recall that postcard being of the Taj Palace Hotel, a national landmark of India and its colonial past. UDAIPUR, INDIA: Taking up her usual perch at Rainbow Cafe, Rosie is easy to spot, it’s the best seat in the house after all. She has a constant reservation of two alcoves which overlook Lake Pichola. I don’t plan to spend my entire evening at Rainbow but the charm of the lights dancing on the lake from the other side and flickering of fireworks keep me planted. Seems like as good of a place as any to spend my Diwali night. UDAIPUR, INDIA: I’ve come to realise that all airports in India are 45 minutes to one hour away from where you are headed. 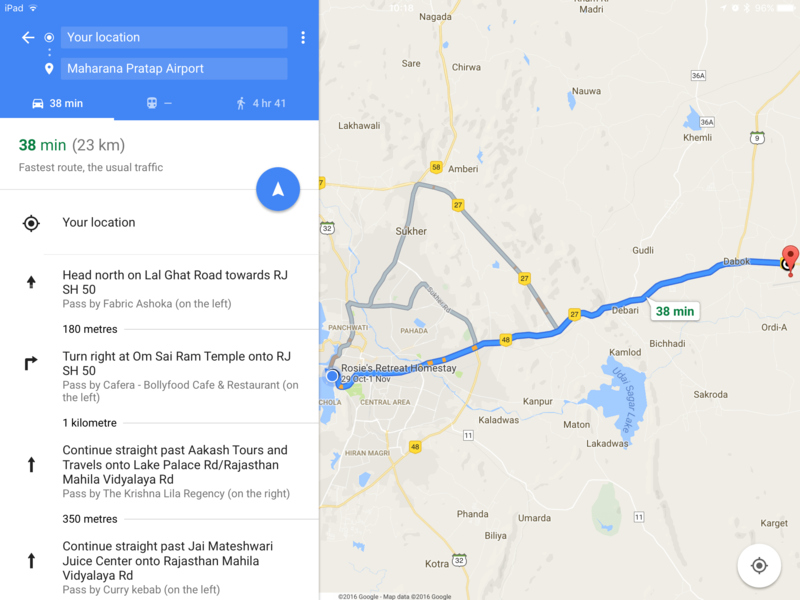 The Udaipur airport is a nice drive away from Udaipur itself. Landing into the tiny airport the stewardess announces “you can find your luggage in carousel number one.” Mind you, there’s only one carousel. VARANASI, INDIA: The airport is a ways out, took about an hour for us to get near to Varanasi, partly due to the traffic. I was surprised by how far out it is. The car drove to northern edge of Varanasi where I was taken on a boat docked on the Ganges. Greeted by a sweet young woman who offered me a cold towel for my face and hands, placed a strand of Shiva beads around my neck, offered me cold water and a sweet yellow drink to refresh myself as we traveled down the the river. As we drifted past the various Ghats she told me what each one was. 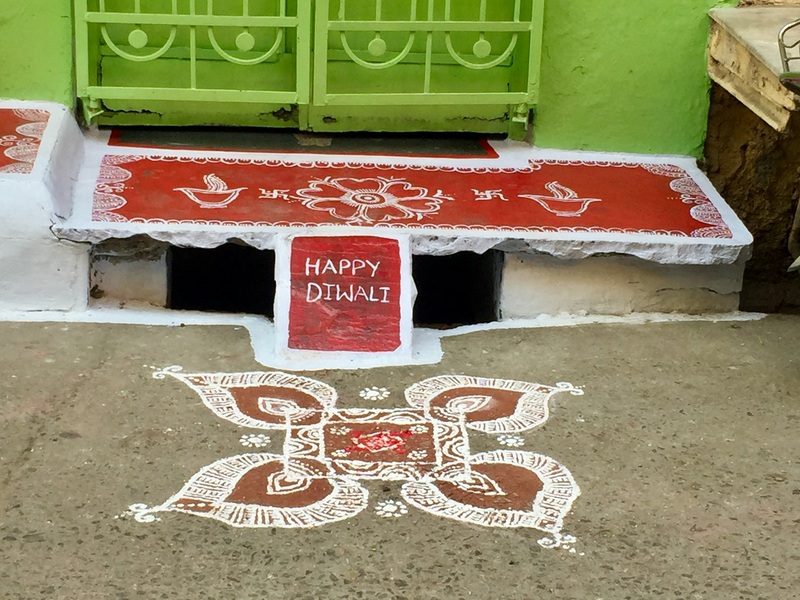 VARANASI, INDIA: I still feel that India does not have much to offer beyond the religious and five star services one comes across in their travels. To walk around the cities you find the desperately poor, repeated over and over again, the squalor and begging, the hustling for money is so prevalent. You try to see the culture and the arts, none of that seems to exist now but everyone wants to capitalise on it, something seems missing. Where is it? There may be more to what meets the eye but if you are not a local it is difficult to see. Being hounded every minute you walk outside to purchase unwanted trinkets and faded postcards from every man, woman and child on the street is the memory you are left with. I feel a captive of the hotel – although it is a beautiful one. The little monkey man outside the window looking in from his naps with understanding eyes. You want to pet them but you know they can be vicious. No need to tempt them. It could be very different if I were a man, or traveling with a man I expect. I would not get as much harassment. This was once a king’s palace, the place where I am staying, on the Ganges, my exotic prison from the heat, the begging and the poverty. DELHI, INDIA: I suppose too some realisations come a bit late. In recalling the days that followed 9/11 I spoke to my friend about how so many people rushed to the local hospital to donate blood, then as time passed it became more apparent this was in vain – there would be no survivors who would need the transfusions. DELHI, INDIA: Today I was speaking with a friend about nothing in particular when the conversation drifted towards my time in New York and recalling what it was like to live there under mayors Rudy Giuliani and Michael Bloomberg as one elected official transferred power to the other during 9/11.